Emanuel Lasker was one of the most dominant world champions, holding onto the title for 27 years. With a new, more flexible approach to chess that was ahead of his time, he confused many of his opponents. Adept at being an all-out attacker as well as a tenacious, active defender, Lasker used this lack of a one-dimensional playing style to his advantage. 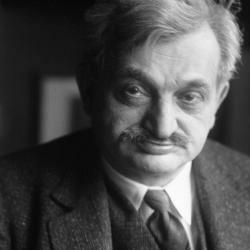 Lasker was also known as an opening theoretician who created many well-known openings that are still used in our time. Emanuel Lasker learned to play chess at the age of 11 when he was sent to Berlin to study math. In 1889 he rose through the chess rankings quickly by winning multiple tournaments and placing highly in others. In 1894 Lasker challenged the World Champion Wilhelm Steinitz for the title and he won the match convincingly with a record of 10 wins, 5 losses and 4 draws. This made Lasker the second formally recognized World Chess Champion. He continued to retain his world champion title for the following 27 years, beating strong players such as Frank Marshall, Siegbert Tarrasch, Carl Schlechter and David Janowski in the process. Lasker finally lost the title to José Capablanca in 1921. Lasker retired from serious chess in 1925 and he passed away on January 11, 1941.